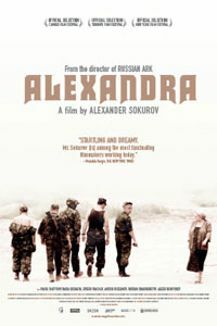 One of the most important directors in both Russian and world cinema, Alexander Sokurov is considered by many to be the spiritual heir of the great Andrei Tarkovsky. Sokurov -- who has enjoyed a long creative relationship with Tarkovsky -- has discounted such comparisons, but certain similarities between their works remain indelible: a predilection towards very long takes, natural performances by their actors, and an almost otherworldly use of natural sounds and music. And, perhaps most important, both directors are concerned with the essential questions of human existence and the state of the human spirit. Born June 14, 1951 in Podorvikha, a village in Russia's Irkutsk region, Sokurov was the son of a World War II veteran. His family moved around a good deal while Sokurov was growing up, and after finishing high school, he went to Gorki, Russia's third largest city. There, he attended Gorki University and began to work as an assistant television director when he was 19. He continued to direct television programs for the Gorki station until 1975, and during this time he became part of the university's history faculty. After completing his tenure with the station, Sokurov went to Moscow, where he was accepted at the prestigious State Film School, VGIK. Sokurov enjoyed a measure of success at VGIK, receiving mentoring from Alexander Zguridi and earning a prestigious Eisenstein stipend for his work. It was during this time that he met Tarkovsky, who took an interest in what the young filmmaker was doing. After taking his diploma in 1979, Sokurov -- under Tarkovsky's recommendation -- began working for Leningrad's Lenfilm Studio (Russia's second-largest film studio), where he made a number of documentaries. 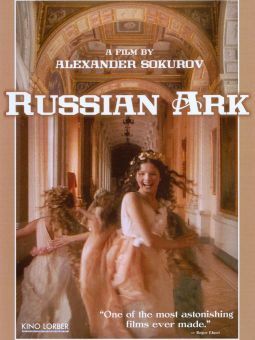 Two years earlier, in 1978, Sokurov had made his first feature-length film, Odinoky Golos Cheloveka (A Lonely Human Voice), but it was not released until 1987, after the onset of perestroika. 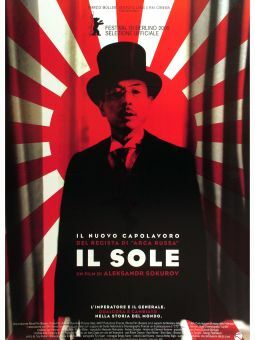 Indeed, most of Sokurov's early films received a negative response from Leningrad's party executives, and his work was not really visible to an international audience before the late '80s. A Lonely Human Voice, his first released film, was greeted with a measure of international acclaim, winning a Bronze Leopard at the Locarno Film Festival. A somewhat tragic love story based upon the writings of Andrei Platonov, it had been made into the 1983 Maria's Lovers by Andrei Konchalovsky, who neglected to mention Platonov in the film's credits. The same year that Voice was released, Sokurov made Skorbnoye Beschuvstviye (Heartless Grief), an experimental film inspired by George Bernard Shaw's Heartbreak House and by the life of the playwright himself. The film, with its disturbing look at the more base preoccupations of a culturally erudite family, further established its director as one of the more dynamic and original voices in international cinema. His two 1989 films, Spasi i Sokhrani and Dni Zatmeniya (Days of Eclipse) had a similar effect. The former a radical retelling of Madame Bovary and the latter a bleak look at human pain, they impressed audiences with both their poetic imagery and uncompromising view of the more miserable aspects of the human condition. The oppression of the human spirit figured largely in Sokurov's next three films, a trilogy beginning with Krug Vtoroy (The Second Circle) (1990). The film, which examined the absence of connections between people and the artificial insertion of once-vital rituals into contemporary everyday life, was followed by Kamen (The Stone) in 1992, and Tikhiye Stranitsy (Whispering Pages) in 1994. Three years later, Sokurov made one of his most acclaimed films to date, Mat i Syn (Mother and Son). A 75-minute portrait of the relationship between a grown man and his terminally ill mother on the last day of her life, the film stunned viewers with its intensity and somber beauty. A deeply symbolic meditation on life, death, and spirituality, it was given added depth and an artistic feel by Sokurov's use of special filters and lenses. In 1999, the director earned further acclaim with Moloch. Based on the relationship between Adolph Hitler and Eva Braun, it dealt with its sensitive subject matter by offering a reflection on the complexities of power. Although the film received mixed reviews, many felt it was worthy of praise, as was evidenced by a Best Screenplay Award at the 1999 Cannes Film Festival.